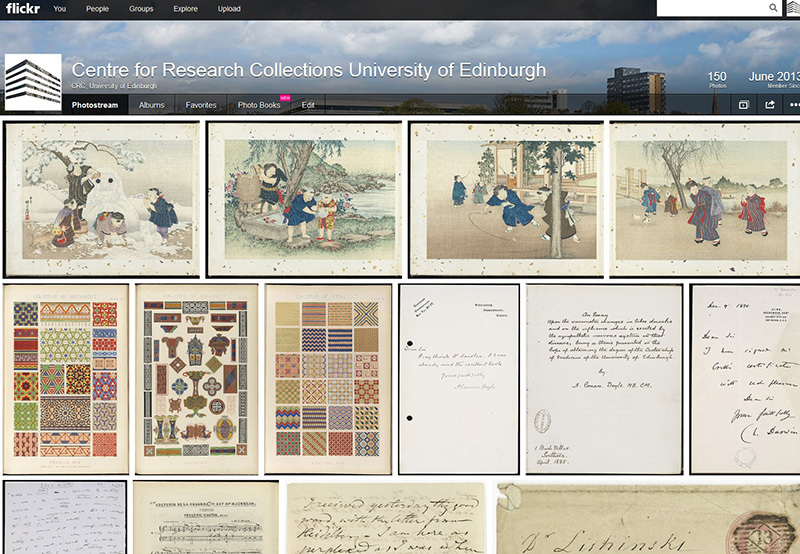 Since I finished my project with the Oriental Manuscripts Collection a few weeks ago (see my blog below for more info http://libraryblogs.is.ed.ac.uk/diu/2014/07/02/discovering-the-orient/#more-931 ), I’ve been working on a few other projects to make the most of my remaining time here at the CRC. Of these, one of my main tasks has been to update the department’s Flickr account (https://www.flickr.com/photos/crcedinburgh/). 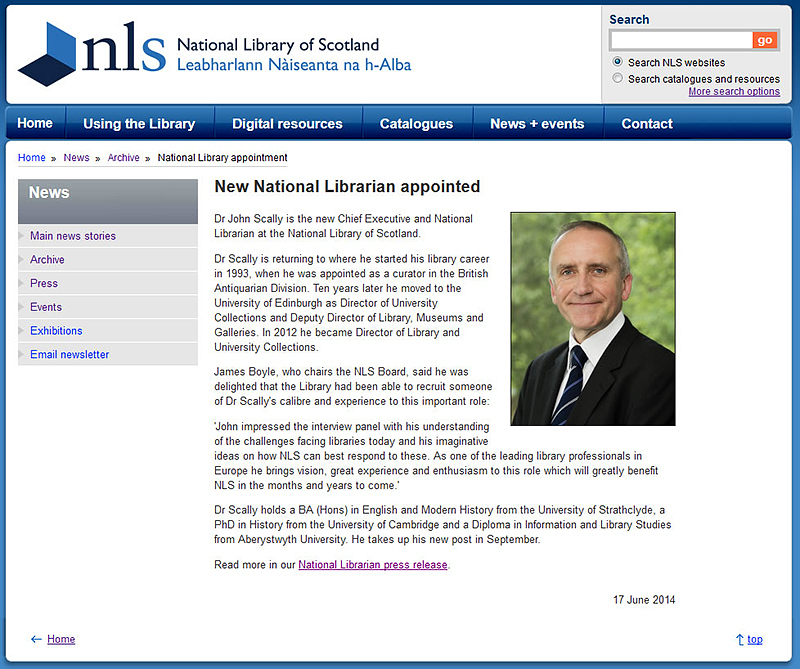 Over the years the Digital Imaging Unit have grown into the role of photographing official Library staff portraits. 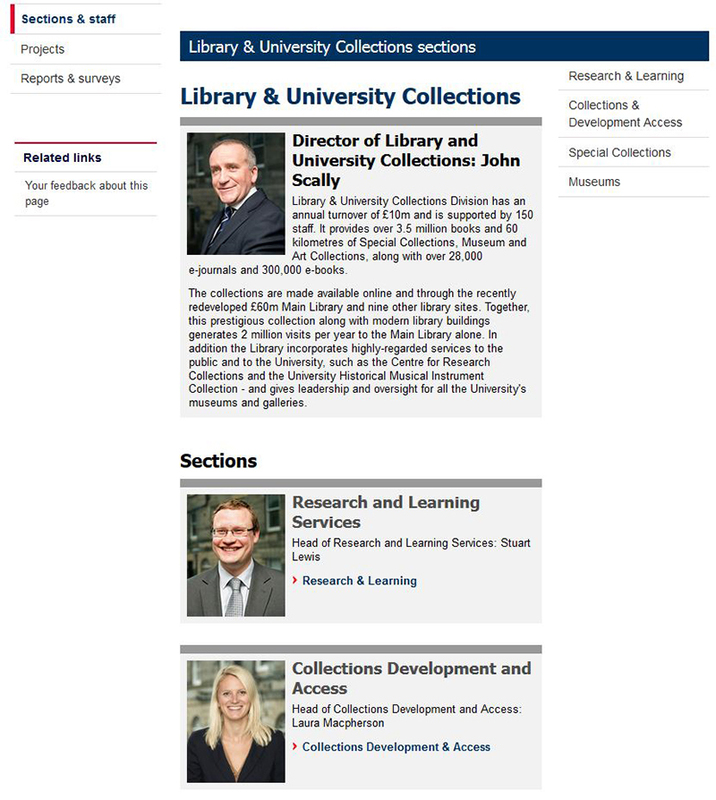 These images are used by the Library online to identify teams and in publications like the Piper when there is a focus on a department. In general terms the prospect of a staged portrait sends most staff fleeing for the Pentland hills. Some staff point blank refuse using colorful metaphors to explain why they will not do it and certainly most staff are guaranteed to be unhappy with the resulting image. It is without a doubt the least popular aspect of the the work we do in DIU. However most staff accept the formal portrait as a necessary evil a bit like going to the dentist. There are also a minority who are comfortable with the concept. What I have come to realise in this role is that I almost always only have about three shots right at the beginning of the session to capture a reasonable portrait. After those first three clicks the sitters brain goes of to an unusual place and we end up with overly self conscious faces that are beginning to do weird things with their facial muscles resulting in contorted bizarre expressions ending with an uncomfortable grimace. In this dominant age of the selfie I feel there is still a role for an official staged portrait and we don’t need to look any farther than the University of Edinburgh’s historic collection of staff portraits to see why they are an important record of individuals at work. Maybe the staff selfie should replace the staff portrait? Lets discuss……….. 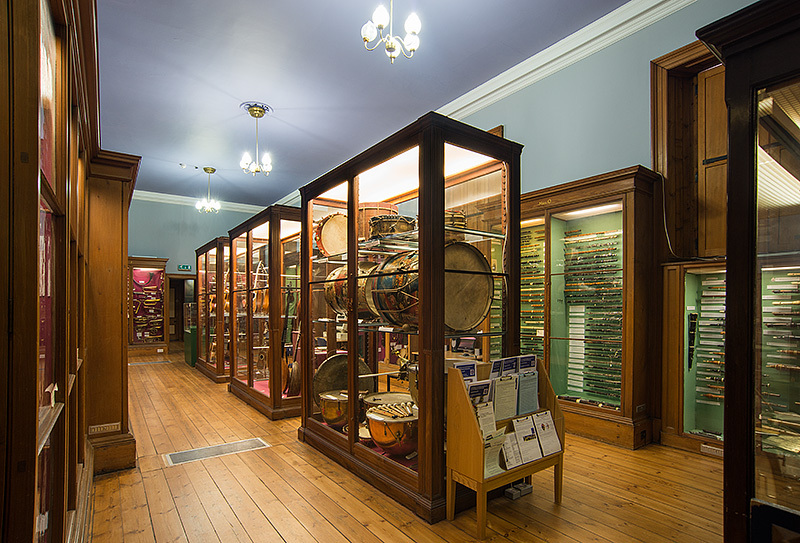 In the last couple of weeks I have been out to visit both the Reid Musical Instrument Museum and St. Cecilia’s Music Hall to document the buildings prior to a makeover. 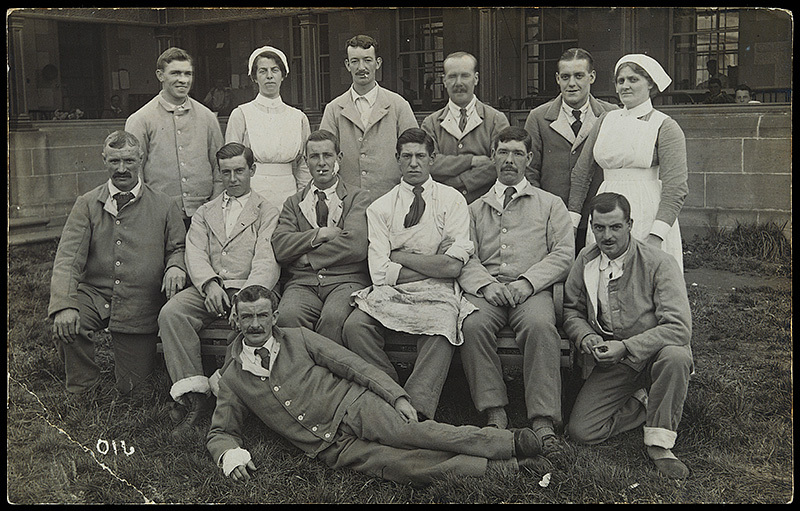 A large order from the Lothian Health Services Archive came our way recently, which included postcards from the hospital & group portraits of staff and patients. In amongst them I discovered an early example of photo bombing- look between the shoulders of the 2 chaps in the centre of the back row- I love combination of serious faces of the people posing and the incongruous jaunty feet in the air behind them. Was this intentional? Or did he simply happen to be doing a handstand at the time…? Detail of portrait showing a group of women washing clothes in a river. 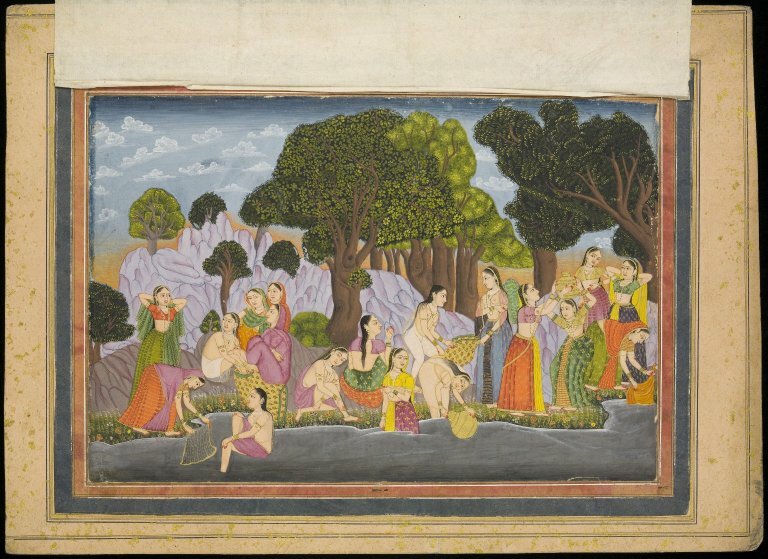 This miniature comes from a collection of portraits (Tasawir), which originate from India and date to the mid-19th century. Although many of the images in the oriental manuscripts collection tend to relate to religion or mythology, this portrait is interesting as it provides a fascinating insight into the life of ordinary people, during the rule of the British Raj.